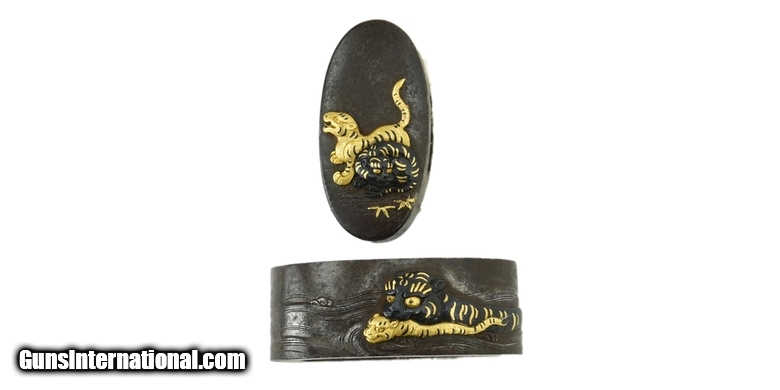 Kinko Fuchi Kashira. Two tigers crouching and another carries a cub across stream with gold and shakudo. Signed: Tetsugend Naoshige.